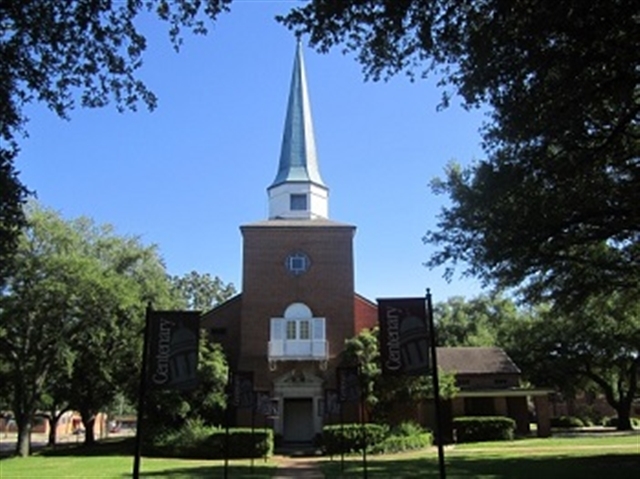 SHREVEPORT, LA —Forbes has named Centenary College of Louisiana one of the South’s “Top 100” colleges for 2014 in its annual ranking released Wednesday. The college climbed nine spots to 99 from the 2013 list. Centenary also improved in Forbes’ overall list of “America’s Top Colleges” in 2014 and was recognized as one of the country’s “Best Private Colleges” for the seventh consecutive year, placing it in the top 15% of the nearly 4,000 colleges and universities in the United States. Forbes partners with the Washington, D.C.-based Center for College Affordability and Productivity (CCAP) to calculate its rankings of 650 colleges and universities, with a distinct focus on the return on student investment. High rankings reflect impressive student satisfaction and graduation rates, alumni career success and low student debt. Centenary joins the other 15 Associated Colleges of the South (ACS) schools in the ranks of the top 100 colleges in the South. The list also features fellow Louisiana institutions Tulane University, LSU Baton Rouge and Louisiana Tech.